The Store Visit The foundations are available in various places in the UK as opposed to just Harvey Nichols with Fenty Beauty. 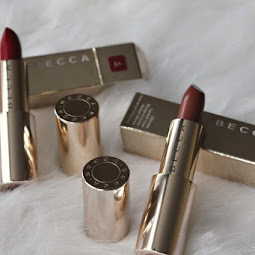 In London I had the choice of visiting either Selfridges or Harrods or ordering online at Cult Beauty, which was not an option for me as I needed to see the shades. Initially, I was going to go Selfridges but decided on Harrods as I imagined there would be better chance of me getting daylight swatches.. but I was wrong unfortunately! Regardless of the non daylight swatches, I was happy that the counter staff allowed me to actually swatch the shades in the first place, as well as letting me ask the many questions I had (thank you Tasnia!). I arrived when the store opened at 11:30am on Sunday so of course there were people around the counter waiting until 12pm to purchase things. Surprisingly the counter was not stiflingly busy, so I was able to take all the swatches comfortably without too many missing shades (unlike the crazed Fenty rush!). 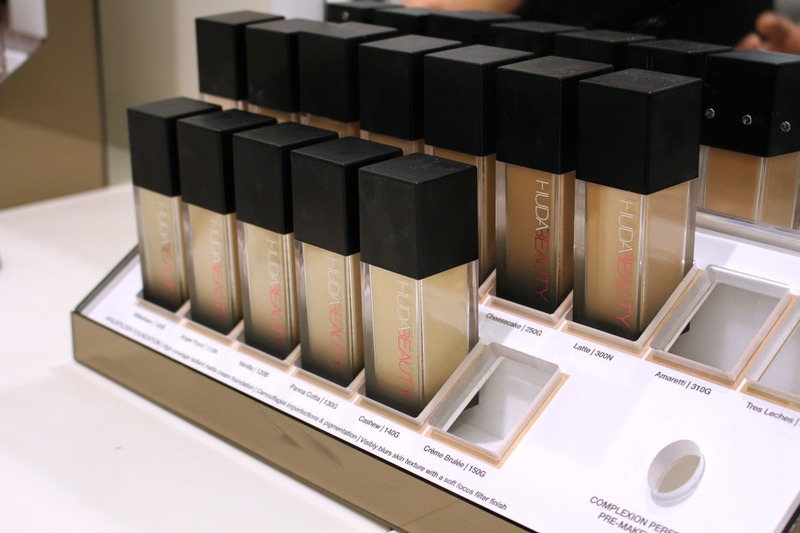 My only issue with the foundation display was that it wasn't very obvious what shades belonged to what complexion range i.e. 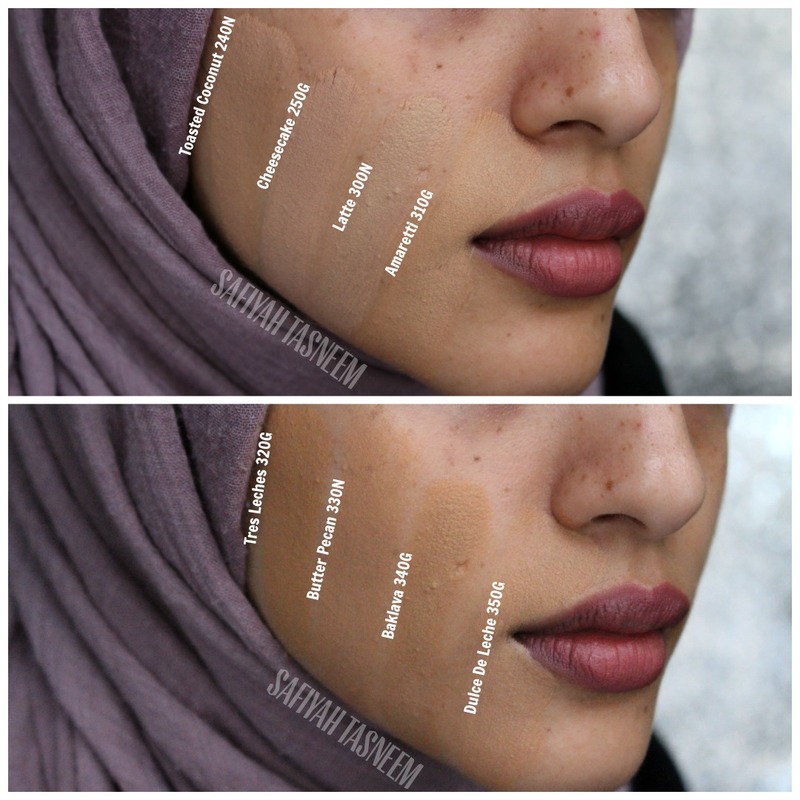 fair, light, medium, tan, rich; hence why my swatches corresponded to the counter set up and not the more logical swatch chart (I apologise, I had no reception to check the official Huda chart). Arm Swatches These are the swatches I took in store lighting as aforementioned as the daylight option wasn't near the counter! My skin For this swatch session, my skin was just slightly shinier/oilier around my t-zone area, especially my nose as you can see in the befores. It also was a bit flawed with small under the skin spots dotted around my temples and jawline. You can see my freckles, eye scar and pigmentation around my mouth and forehead in the befores which can hopefully give you an idea about the coverage of this foundation and tones. Packaging By now you probably already know the packaging is in a plastic, rectangular, slightly ombre-black bottle which personally I would have preferred to be glass for the price point but not overly fussed about as it means it's less breakable and less weighty if I were to stock in my kit. I like the fact it has a pump which dispenses more than enough product in one pump.. I genuinely think that half a pump should cover most people's faces. In my store visit, the black lids were prone to getting dirty but are wipeable. Shades If Fenty Beauty hadn't have stolen the show so close to this release I would be pretty impressed with a shade range of 30 foundations to start off with. 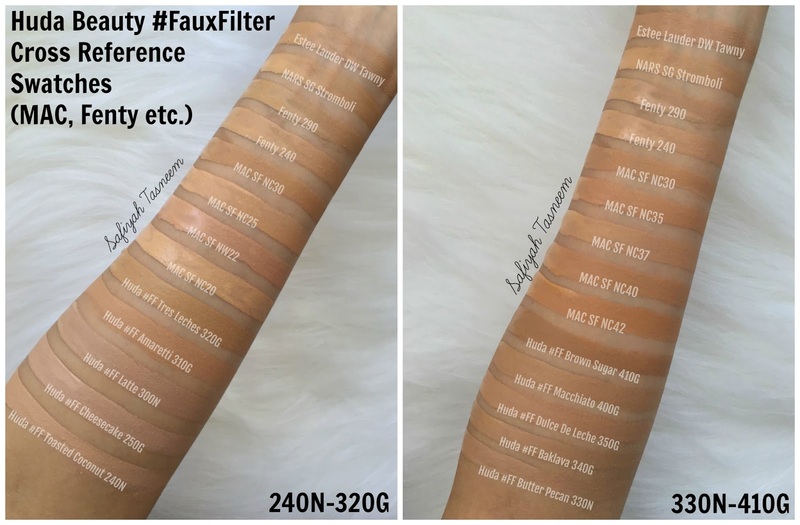 Again, with more shades there's more confusion as to what shade we are; I feel like the foundation range around the Medium to Tan shades are even more confusing than Fenty as there's 12 shades in these ranges combined, each with a different undertone but also very similar looking from 320 - 400. Not only do they dry significantly darker, the undertones are quite confusing as some seem more warm/golden but dry neutral/peach and others seem peachier but dry golden/warm. 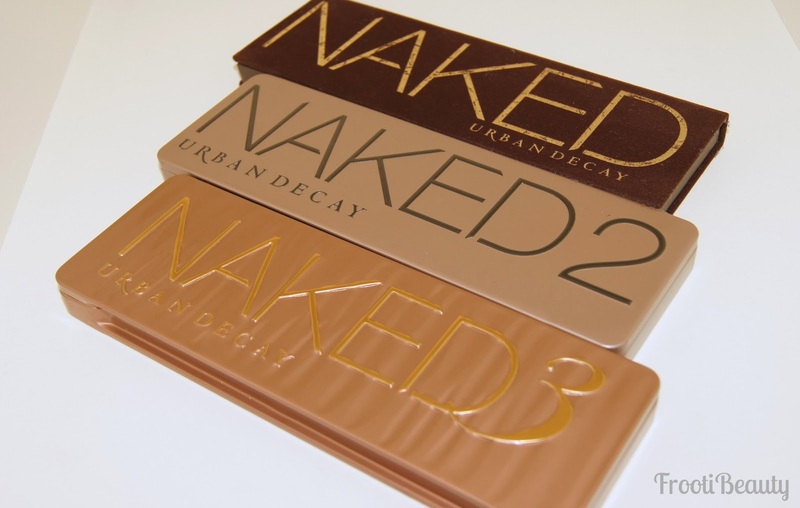 They remind me of the Urban Decay Naked Concealers in thickness and drying progressively darker the longer it stays on thick. I found that buffing it out with a buffing brush makes the shades dry less dark and of course using a lighter concealer as I usually do. My shade Truth be told, I could probably wear any one from Amaretti 310G to Macchiato 400G as my face tones vary from light in the middle of my face, darker orange/red tones on my forehead and dark olive around my mouth. On first swatching in store I thought I would be either 310G Amaretti or 320G Tres Leches, however when I tested both shades on different days they didn't seem like a good fit; Tres Leches looked the most olive and was sure it would be the closest to my olive pigmented mouth area but it dried down very tan.. more red/pink than golden. Amaretti looked too pinky-peach although it's marked as "G- golden" and I found it to be slightly ashy around my mouth area where I'm most olive. I then decided on trying Butter Pecan 330N, Baklava 340G and and even Macchiato 400G as they looked next warm/olive and to my surprise the "neutral" shade Butter Pecan 330N seemed the best fit as it dried down more olive/warm and not over tanned looking when I buffed it out with a buffing brush. Heavily swatched on my face however you can definitely see the neutral tone compared to the others. This did confuse me massively but I was finally happy to have found a Huda shade I was comfortable with all over my face, in the ever confusing medium-tan range. 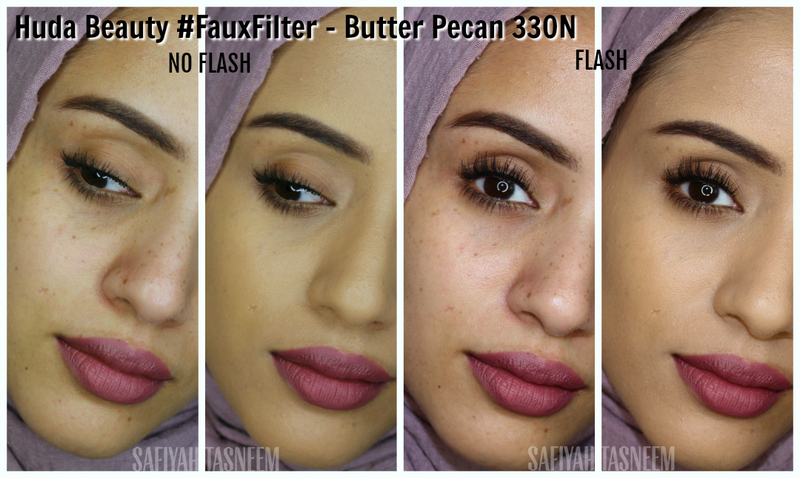 Butter Pecan 330N is definitely my preferred shade as I feel like it doesn't look ashy around my mouth area which has strong olive undertones, or look too tanned/red. I did find that the jump from Macchiato to Brown Sugar was a bit steep but as I didn't get a sample of Toffee, it may be a good option for anyone NC42, so do check if any YouTubers who may be similar skintone are Toffee, if you can't go in store. I'd suggest this for all shades tbh, as YouTube may be more clearer to see than a filtered/edited instagram pic or poorer quality phone picture. A lot of people have asked me if the foundations oxidise; they do dry down significantly darker when thicker especially. I generally find with any product that has even the slightest matte finish does dry down darker usually (liquid lipsticks too for instance). The fact that it is very high coverage is a factor that affects how dark it gets I think! Coverage The coverage is definitely FULL; I initially thought that a beauty sponge would help sheer out the foundation to a less plasticky/full coverage (which it did) but then I found myself looking very dewy, almost sweaty skinned, so I tried with a standard foundation brush instead using the tiniest amount which gave enough coverage to hide my freckles/imperfections but without looking too heavy. The best way for me was using a buffing brush as it wasn't tooo heavy looking which is my preference. It definitely looked "flawless" from far but up close I felt very conscious of it looking too heavy still. Finish The foundation is described as a "radiant matte powder finish, that looks luminous, never dry or cakey". Generally in foundation terms the words "radiant" and "matte" are polar opposites, so I was intrigued and I agree with the "never dry" bit as it wasn't a flat matte finish when buffed out, but I wouldn't say I looked radiant.. the closest to radiant was when used with a beauty blender but it was more sweaty looking. The best way to use this foundation for me without looking super oily was to use a buffing/kabuki brush, Deciem The Ordinary High-Spreadability Fluid Primer and Laura Mercier translucent powder which kept my foundation from looking too sweaty on the third day of testing. When I tried the foundation with the beauty blender and even the standard foundation brush method, I felt like a sticky mess and it felt super heavy/cakey. I definitely think this foundation needs to be used with a primer. I think it's best suited to dry skin types if used with a beauty blender and moisturising primer, otherwise using a buffing brush and mattifying primer can help it apply matte. 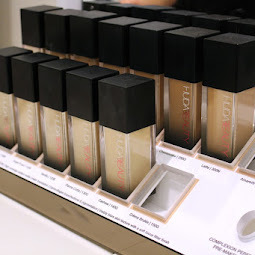 That being said, most full coverage foundations feel dry and mattifying but the texture of this creamy liquid foundation allows for both oily and dry skin types to have their preference of finish. 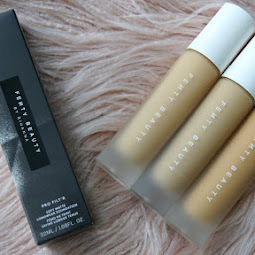 Texture The texture is a thicker creamier liquid compared to Fenty which is a more thinner/runny liquid. I'm personally not a fan of how it feels on my skin after it is applied; it FEELS like I have makeup on, even when I just swatched on my jawline, it felt like there was something there, heavy and sticky. I found it's best to work in sections and a bit fast due to the thickness of the foundation, which made it less blendable if left on the face. Longevity I've worn the foundation 3 days since I got a few samples of my own; none are available on counter and technically you're not allowed to take samples of your own, but for blogging purposes I had to get at least the medium tan shades! For each of the testing days I checked on my nose as it's the oiliest part and prone to breaking down and to my surprise, even though I got super oily on the first testing day it didn't break down. It did however feel like a sweaty mess and transferred on tissue when I wiped around my mouth. On the second and third testing day (with The Ordinary Primer) I was super shiny on my nose by the 6th hour (much later than on the first testing day), but again no breakdown of foundation which is amazing. Overall rating Overall I have to say I'm not overly keen on the foundation and the main factor is the scent which is a strong musty rose kind of smell, so I don't think I'll be buying full size. I found that I had 3 red spots after wearing it the third testing day (buffed out), whereas other foundations rarely give me that many spots in one go once off, if I was to react. Using a sponge can make it look sweaty on the skin and I feel like flaws and pores are accentuated if not used with a primer of some sort. I do however think it is a good start for a foundation shade range, especially the medium to tan skin range, once you figure out what your preferred shade/undertone is! 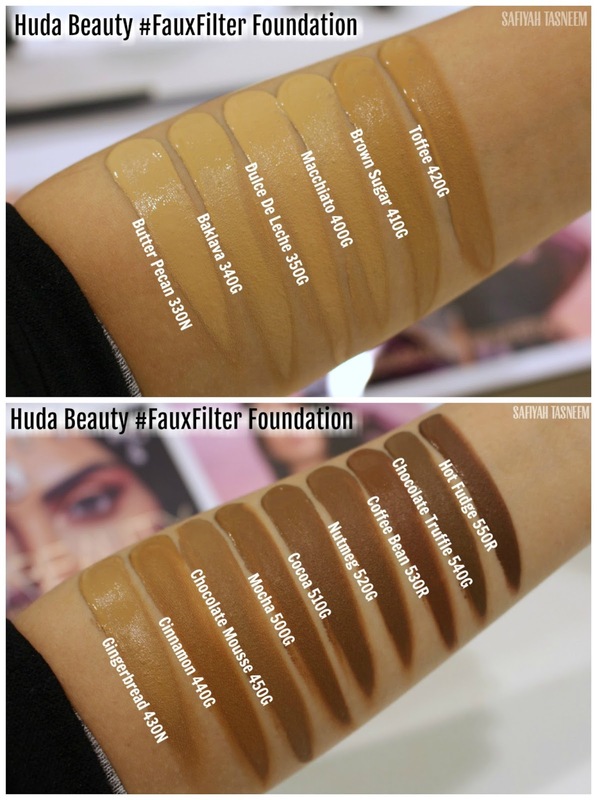 I think samples should really be available as this was something that helped me decide my Fenty shade, but isn't apparently available even in store at Huda counters. 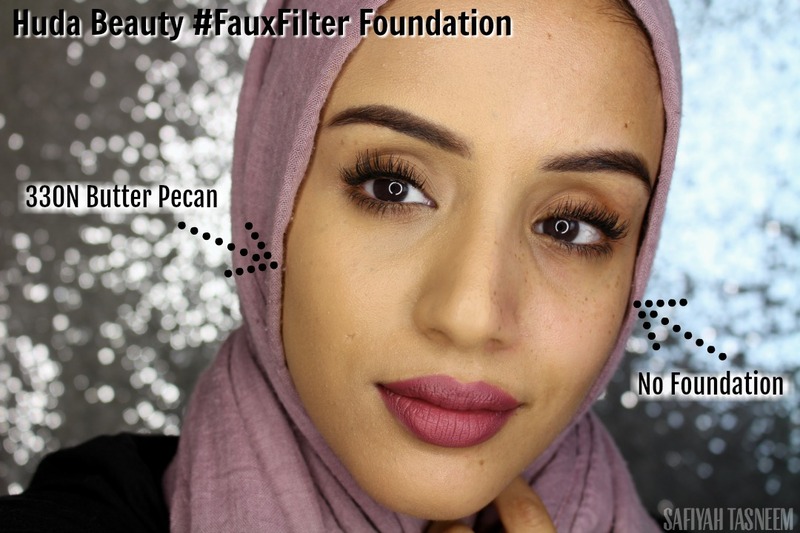 The claims about the foundation looking like a filter are true to an extent; it is high/full coverage, so from far on camera I looked "flawless" but up close unfortunately I did feel it accentuated flaws as with most heavier creamy coverage foundations. 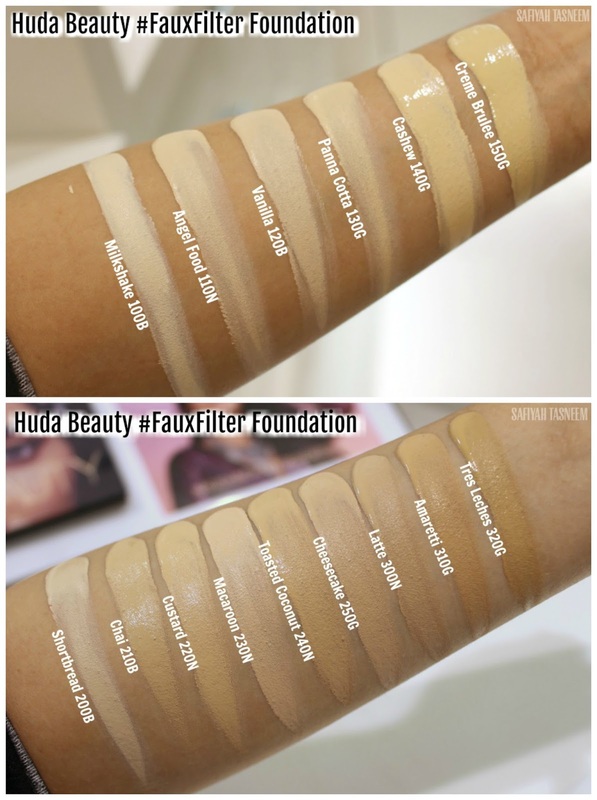 The shades are hard to figure out, even though I commend Huda for drawing up the comparison guide, but not all are accurate, so it really is best to try in store which isn't easy to do despite being available in both Selfridges and Harrods. As with my Fenty Pro Filt'r post, I'm going to try add a list of bloggers I trust for you guys to refer to if you're unsure of your shade, so far I've seen these bloggers/YouTubers say they are these shades: 240N Toasted Coconut: Hannah St Luce 240N Toasted Coconut/ 310G Amaretti: Kaushal 340G Baklava: Aysha Begum 320G Tres Leches: Shanise Morgan 320G Tres Leches/350G Dulce De Leche: Anchal Mua 340G Baklava: Anchal Mua 400G Macchiato: Zaali Beauty 550R Hot Fudge: Wande's World If you're a blogger/youtuber and have a review of your shade, please do comment below or message me so I can add your link too! What do you guys think of this foundation? Oh my god this is the most confusing foundation ever 😭 you still have to go to the store to get shade matched 😒 your swatches do give an idea of what I may be. Thank you for this review! So helpful! I also thought that my shade was Tres Leches, since it's the most olive shade, and also most beautiful shade :'). But i'm confused when i read the the foundation comparison from huda page, and started thinking that tres leches would be too dark for me. And think my shade would be Latte, or ameratti. But ameratti looks so orange, and Latte too light. Do you know where i best fit? Need your help! My perfect match is Genius Gel 44 golden medium, and MUFE 123, Born T Way- neutral/warm beige, NARS stromboli (a bit too dark but since the undertone match me perfectly), Armani LSF 6.5. What do you think my huda shade is? You are the most helpful when it comes to these kinds of blogs. Absolutely love it/ you. Thank you!! Your blog posts are so well described and detailed. I love to read them. I learned a lot from your posts. Recently, I am thinking of doing a makeup course. Have you seen makeup lesson by makeup artist ? I am thinking of doing this course. As I have seen her makeup earlier and did also from her, she can bring glam in regular faces. She is really talented and caring towards her clients and really helpful. 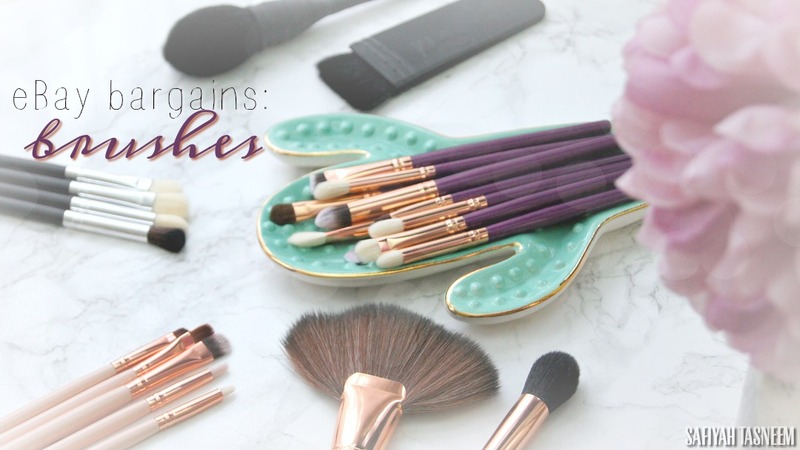 Trains best makeup lesson in my opinion! And which shade you will recommend for NC25?